I travel for inspiration, perspective and to find a new understanding that will help make my world bigger. After the devastating US election, a busy holiday season and trying to be a decent parent, I was depleted by the end of December. I have always found a break is the best way to reset my life, discover greater empathy and restore my creativity. Havana was a trip which expanded my world to include an understanding of a simple Cuban beauty and remind me of the circumstances we are born into. 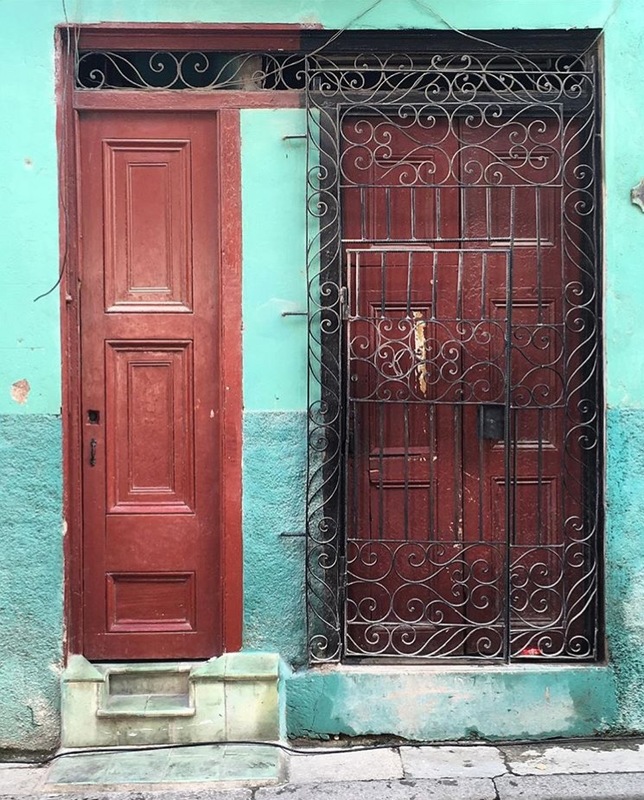 The pinhole of Cuban culture I witnessed in only a week was a mixture of socialism, history, music, dance, modernist architecture, art, tobacco, island time and of course Cuban flair. While I have traveled internationally a fair amount, it had been awhile since I had actual culture shock upon arrival in a country. Between the internet and international trade, one can often find the comforts of home. This is not the case yet in Cuba. There are no traces of the US post 1959. The old classic cars are the only reminders of the U.S. since Fidel Castro overthrew Batista and set in place the socialist government. Socialism gives people housing, heath care, education and subsidized food, yet many people still live in poverty. 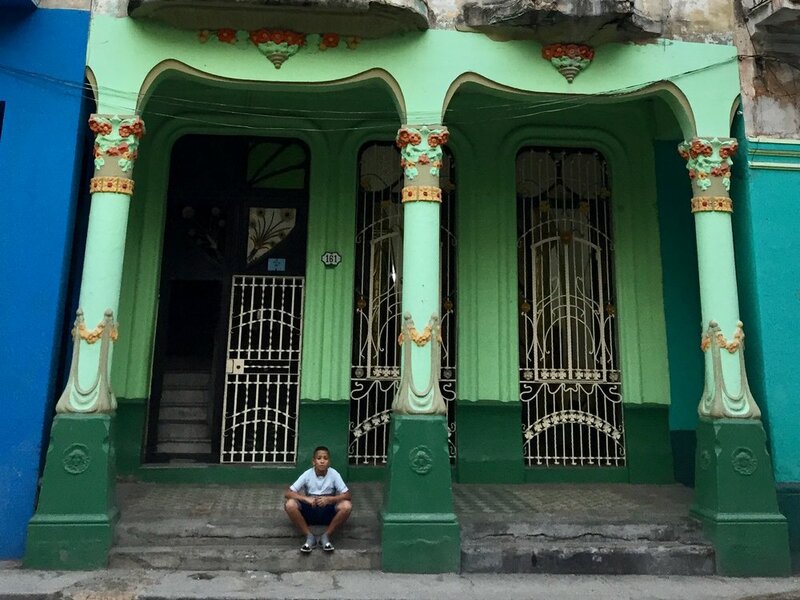 While the government is starting to restore the historical center of the Habana Vieja to attract tourism, walk just a few streets away from the historic squares and you see how run down it is. The Cuban people don't own their buildings, only the apartments within them. 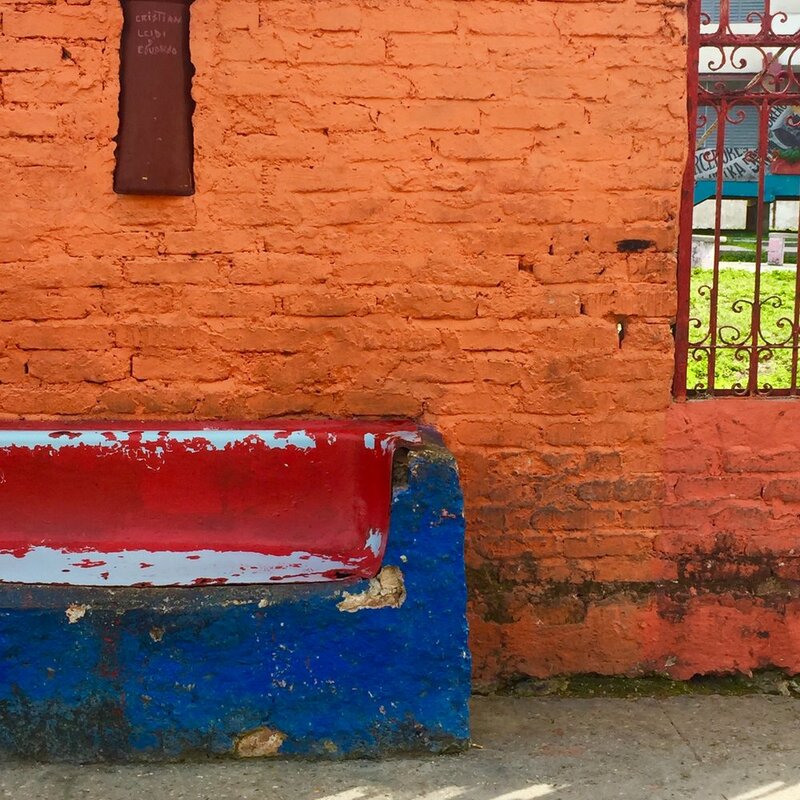 Some families choose to paint the outsides but many don’t. That means you may see the bottom half of a building painted and the top crumbling because they are owned by two families. While walking on the Prado, a promenade for pedestrians to stroll, our guide Juan explained that only recently are the people to be able to buy property. Before, they came to the Prado with details of their property and then traded dwellings amongst themselves when they needed to move. He also showed us his food card which the Cubans use to purchase food at special markets and bodegas. Rations are reviewed monthly and they can pick up the basic food needs: 5 eggs, meat, beans, rice, milk, etc. The rationed allotment is free and if you need more you can purchase it at a subsidized price. Walking and driving through Habana Vieja you see small snippets of the Cuban life. Their doors are open and their lives often spill out onto the streets. 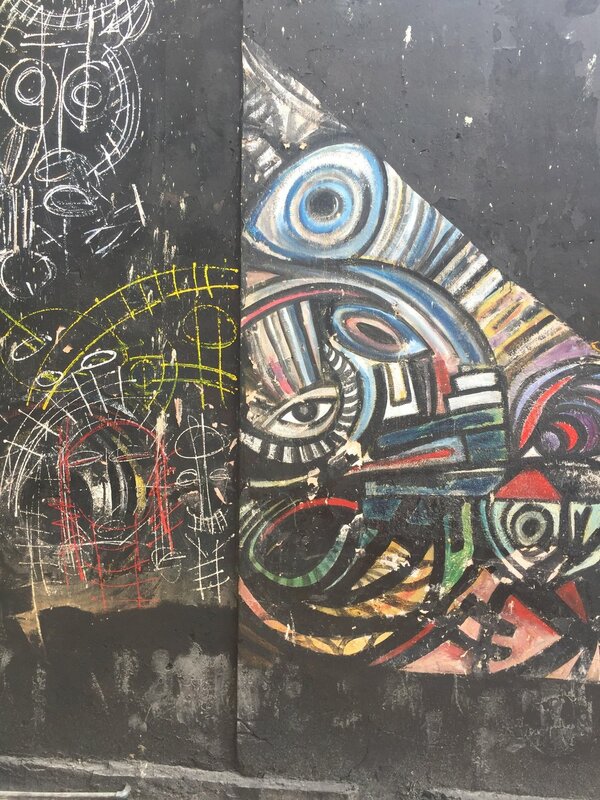 Through my walkabouts, I saw people dancing together or practicing solo in small rooms with techno and traditional Afro-Cuban music blaring - often with the TV still on. In a small living room children played with dolls. A man sat at his entrance, selling four little bags of macaroni pasta and a small pile of eggs. Some people sat quietly on their front step, others were talking with friends or neighbors. Teen girls whispered about boys. I spied a tiny tree with tinsel in a front room and a family enjoying a meal in back. There were entrances and tall staircases with electrical wiring that looked alarmingly unsafe. There were small logos on doors for new businesses popping up. It wasn’t until the end of Fidel’s rule he allowed entrepreneurial self-employment. There are now small gyms, dancing schools, home art galleries and record stores to name a few. There is no internet (unless you find a wi-fi spot, which you’ll know instantly by the many young folks milling about with their phones or go to a tourist hotel) so people still interact and socialize. Iliana our hotel host said it herself, "Cubans are loud people. Even if there are right here,”--- pointing a foot away from her--- "we speak loudly." They talk at great length even over simple things like directions. Drivers do not pull out maps or phones when they need directions; they simply yell over to the next car or pull to the side to ask someone standing on the street. The conversations can go on for quite some time. It reminded me of how isolated and independent we have become with information fingertips. I thought about how much are we missing when we turn to our computers or phones and overlook the people we are right next to. Something has definitely been lost in our culture. It was an expansive trip for me. I learned so much about The Cuban Revolution, about Amercia’s embargo on Cuba and the mix of emotions and tension it has created. I saw a country with hope that things are getting better but are still hard when faced with the reality that they can not easily leave. Being an entrepreneur myself, I couldn’t help but notice how businesses run in Cuba. There was a dark grey Art Nouveaux building near the Prado that held a perfumery. I had big expectations - the thought of Cuban perfume seemed so exotic. However, upon entering this beautiful building the perfumes were not original scents but many of the bigger European brands seen anywhere else in the world. They were stacked in their boxes and locked up in two cages. Very unapproachable. Two nicely dressed sales people stood at the back behind an empty counter that would have easily been set up for sampling and spontaneous tourist purchases. I wasn’t sure I was aligned with the aesthetics in Cuba before I left for my trip. However after a week of walking through the city, which I can only describes as a shade brighter than power pink, mint green and sky blue, the pallette made complete sense and seemed perfect and beautiful. Women dressed in bright colors, neon even, skirts that fit so with such body contouring I was impressed that they were so comfortable in their bodies. I saw a lot of men in black and white patterns with brightly colored accents. Red shoes were very popular as were distressed jeans on both sexes. The accessories on one woman were a hot pink belt and matching pumps which made me recoil at first. But when I saw her dancing rumba with her partner at the Casa de la Musica and the way she moved her hips to the beat, I suddenly thought her choice of attire looked lovely and tasteful and I wanted to be her. She later returned to her group of friends with a big ice bucket on the table with a large bottle of rum and poured some in her glass with the Cuban equivalent to coca-cola. The art of every culture is always a big draw for me. One day I had a big dose of Cuban art. Going from Miramar to Playa, areas with points of interest far apart from one another, you can hire a cab for $25 an hour and they will wait as you enjoy each stop. We were taken to an alley with many murals, El Callejón de Hamel by Cuban muralist Salvador González. Besides his murals there is outsider art including bathtubs as benches to rest on and rough plasma cut metal and found object sculptures. The alley is said to have dancing (Rumba) on Sundays. I’d wished we’d put in more effort to architectural points of interest. 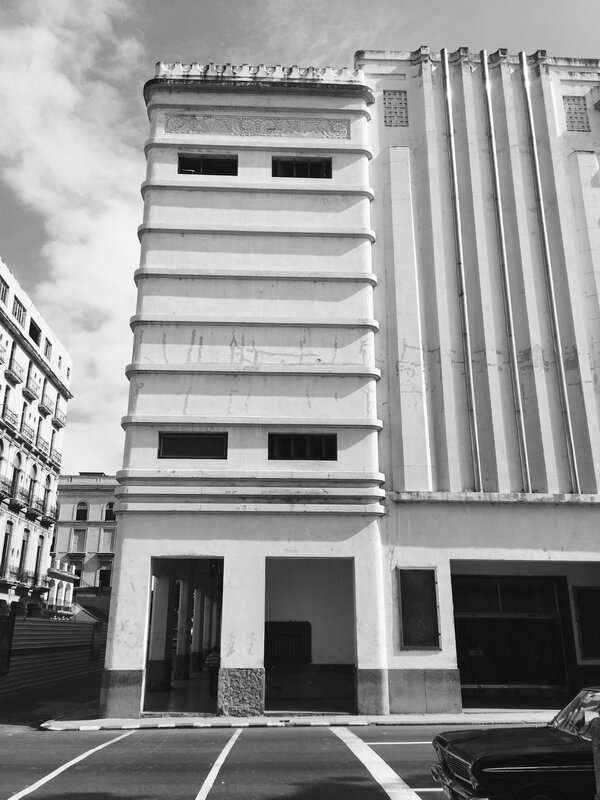 We had hoped to see the architecture of the ISA (the art school). However we could not get in without an appointment. But the brick domes and organic arches looked very interesting as we peered over the fence. Driving on El Malecón we passed Parque José Martí Stadium an abandoned stadium built in the 1940’s. Architecturally interesting with it’s faded colored benches and shell-like arches, I have had dreams about it since I have been back and have looked up further images and information to ponder. There are two artists in particular I took note of. 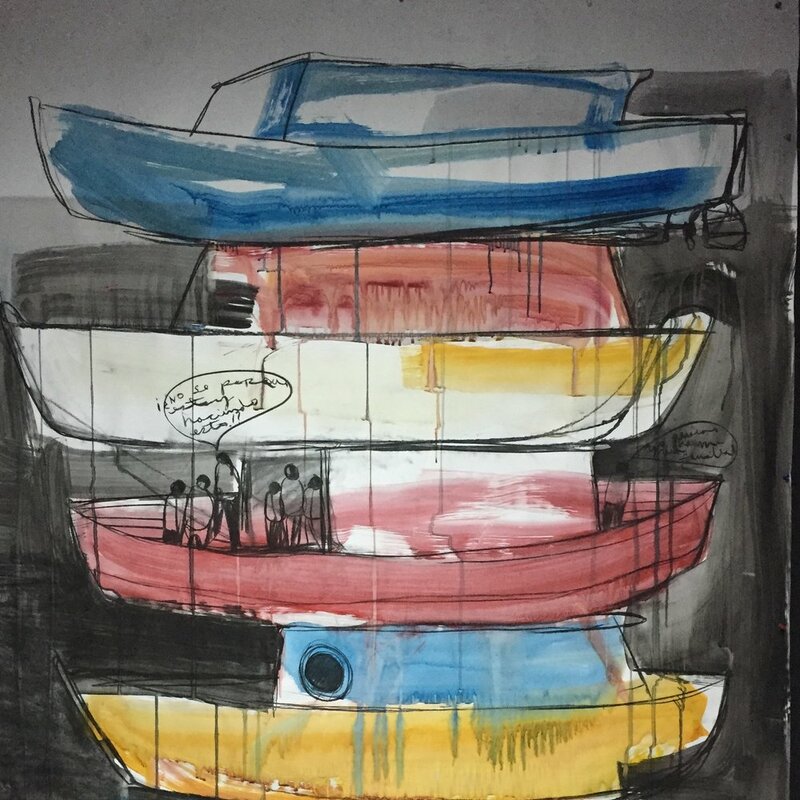 The first is Kcho, an internationally recognized artist who became well known in his 20’s and has shared his success with the community by opening up his studio and compound to all. His complex is in walking distance of ISA. You are supposed to make an appointment in advance, but we got lucky stopping by and joined another tour already underway. The complex has a gallery where he shows guest artists and a working warehouse/studio for himself, which is the most interesting. He also shares the space with his 18 year old son, who is in the arts. Outside are more works in progress, outdoor sculptures and public artworks. 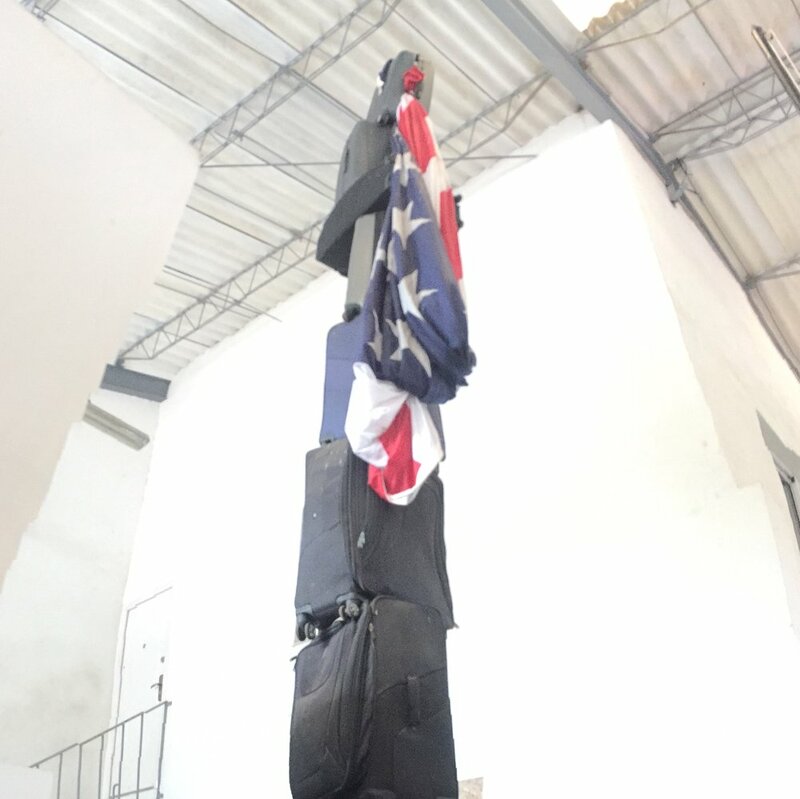 The piece that pretty much describes what some of the more outright Cuban people think of American was a tall tower of luggage with the American flag draped over the top titled "I don’t want anything from you.” There is also a small theater and computer lab. Through a sponsorship with Google it is the one place in Havana with free internet. The second artist of note is Casa Estudio Jose Fuster (Jamanita). 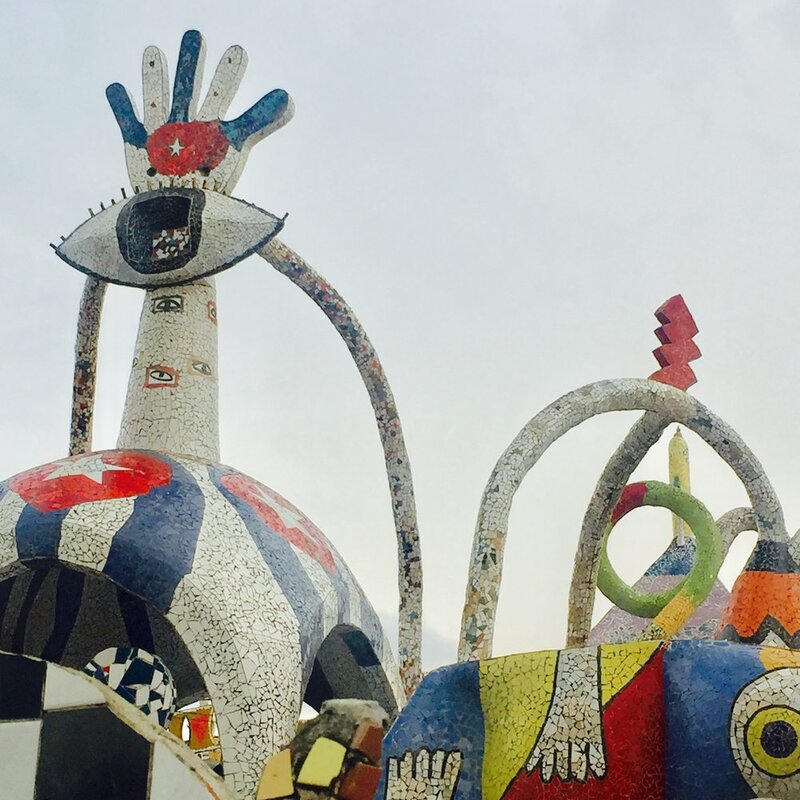 This tile artist has made a museum that is definitely worth seeing. Not only has he created an endless tile mosaic world of sculptures and murals that has totally transformed his own property, he also extends his work into the neighborhood, neighbors’ houses, alley walls, bus stop, and practically any available surface. For me, travel is not about seeing things that align perfectly with who I believe I am. I think I travel because it shows me where I am limited. I have to say the pollution from leaded gas was hard to breath in and the food was a little underwhelming. But even with this I had some notable adventures. Imagine the thought of planning a peaceful trip to the countryside of Viñales to escape the pollution and crowds only to find your driver waiting for you with a Lada - a Russian car from the days when Russians support was integral to Cuba (1959-1991). Ladas have notoriously poor exhaust systems (which fill the backseats with fumes), no seat belts and our driver had to pull over several times for roadside repairs and adjustments. Lunches sometimes felt a bit like torture as we had to wait up to 2 1/2 hours for the food to arrive. What do you talk about with no iPhone to distract you? How do you keep up conversation? You don’t. You let the pauses and many moments of stillness be there. You wait patiently and enjoy the moist air awhile you relax. And when your food finally arrives and it expectations let you down, you eat every bit and appreciate the way you feel nourished and have regained some energy for the next adventure. I’m happy to share my favorite finds or an itinerary that I think would be helpful for anyone thinking of visiting Cuba. But I suggest instead to simply be present and watch. Cuba is a beautiful culture so different that ours. Once I slowed down and realized I was not looking for big a-ha moments, I began to appreciate it much more. I feel lucky to have visited. A Socialist government I had never experienced. If I were to go back I would go with a better camera, take a dance class, do a little more research on the architecture and food, and hopefully know some Spanish. I don’t know how quickly travel in Cuba will change but, email me if you would like my highlights of my week in Havana. I have a detailed list. As a woman I should say I did not travel alone and was with a man, but found the people either friendly or indifferent and I felt safe in all areas we ventured. I am never sure how I will process these images and cultures into my work but I know for one thing it changes me and refreshes my world.